Pink hair is awesome, anyone who knows me will know that I love a bit of pink. I think it’s the perfect hair colour. Whenever you see someone walking down the street with even just a hint of pink in their blonde locks, it instantly jumps out at you. But there’s another reason why I think it’s the perfect shade to experiment with – it’s the easiest hair colour to remove. 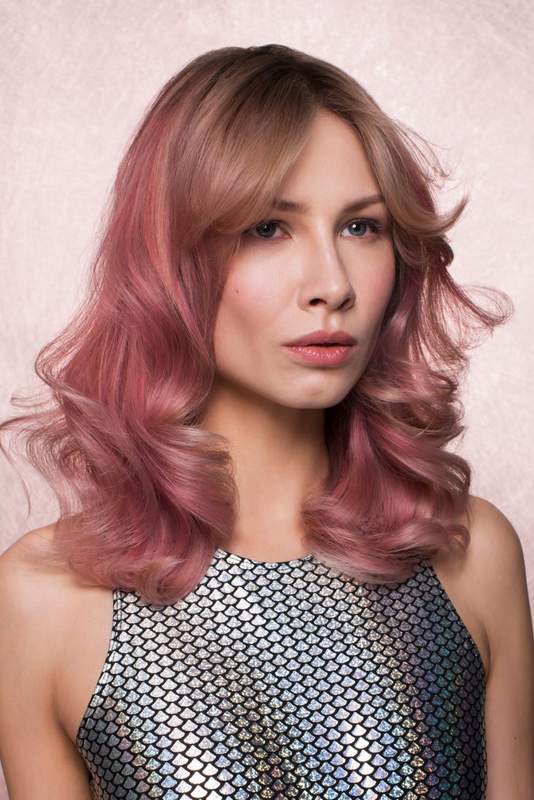 If you ever fancy a new look for the weekend, pink is ideal because after a couple of days it normally washes out to a gentle peachy blonde. I have done this on many occasions with my own hair and it’s great because it’s non-committal. You do need to have blonde hair for pink to show up but it doesn’t have to be really light for it to work well. It’ll look more intense on lighter locks but will still show up well on dark blonde or yellower colours too. The colour will be a little ‘minky’ but this can give a really nice effect. Damaged and porous hair will lose colour quickly but the pink can easily be topped up with a special colour conditioner. We can make these for you in the salon so it’s totally bespoke for your needs. Using this will keep the colour looking vibrant as well as helping with the condition of your hair. The best way to go pink is with our silk bath technique. This takes a few minutes and doesn’t involve any harsh processes as we use direct dyes and hot water. Watch this video to see how we achieve this colour effect. And finally….my favourite look using this technique is to add a slight hue of baby pink. It’s not abrasive and is very subtle, making it a perfect choice for work or play.